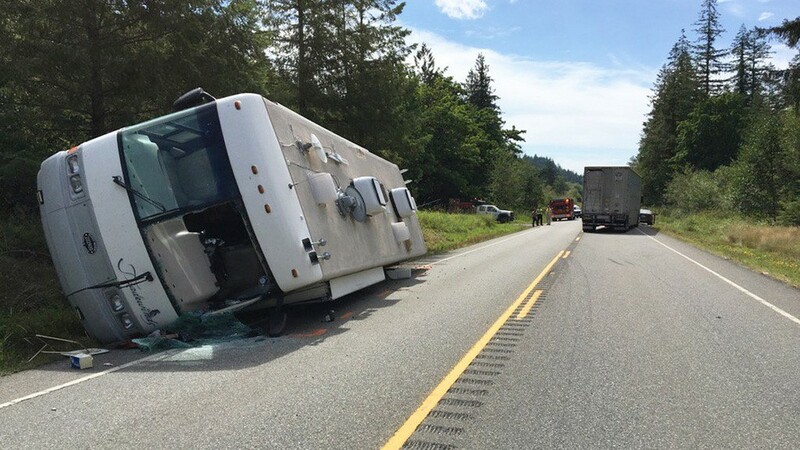 A crash involving an overturned motor home sent a woman in her 90s to the hospital with severe injuries Tuesday, according to the Washington State Patrol. The incident occurred about seven miles from Discovery Bay on U.S. route 101 and involved three vehicles. No other injuries were reported. According to troopers, a semi-truck traveling south swerved into oncoming traffic to avoid slowed down cars ahead of it. The motor home going northbound veered into a ditch to avoid the semi-truck. A third vehicle, a car traveling behind the RV, also swerved to avoid the semi-truck and sustained minimal damage. The woman suffered an arm injury and was taken by helicopter to Harborview Medical Center in Seattle. Because of the sheer size and poor maneuverability of these types of vehicles, motor home and RV accidents are not uncommon. These massive vehicles also suffer from large blind spots and extended braking distance, which only adds to the likelihood of an accident. Operators of motorhomes also do not require special training or a permit, increasing the risk of a crash. A 2012 report by the Federal Motor Carrier Safety Administration stated that 75,000 were injured in RV accidents that year. Anyone driving a motor home should be prepared in the event of an accident. Check for injuries: Make an assessment of all the people involved in the crash. This includes the drivers and passengers of the other vehicles and potential pedestrians. Call the police: It’s important you record your accident with the proper authorities. Possibly move to a safe location: Once you’ve accounted for all parties and contacted the police, it might be a good idea to move your motor home to a safer location (out of traffic). Gather information from the other driver(s): This includes name, address, phone number, insurance company, policy number, driver and vehicle license numbers. The police can assist you with this process if needed. 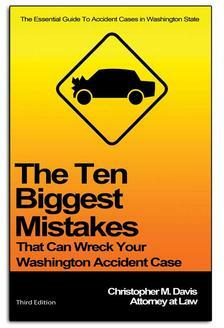 Take pictures of the accident: It’s always a good idea to document the crash visually. Call your insurance company to report the accident. The police will let you know when you can leave the scene. If you or someone you know has been the victim of a motor home or RV accident, it may be in your best interest to contact a personal injury lawyer. Call the Davis Law Group, P.S., at (206) 727-4000 or use the form on this page for a FREE legal consultation regarding your RV accident injury case.